Telugu star Pawan Kalyan is arguably one of the most charismatic and successful stars in Tollywood. 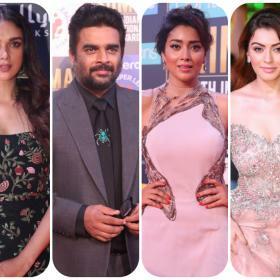 The ‘Power Star’—as fans like to call him—enjoys a strong fan following thanks to his good looks, macho screen presence and of course simple nature. Moreover, he has also won the respect of movie buffs because of his charismatic personality. 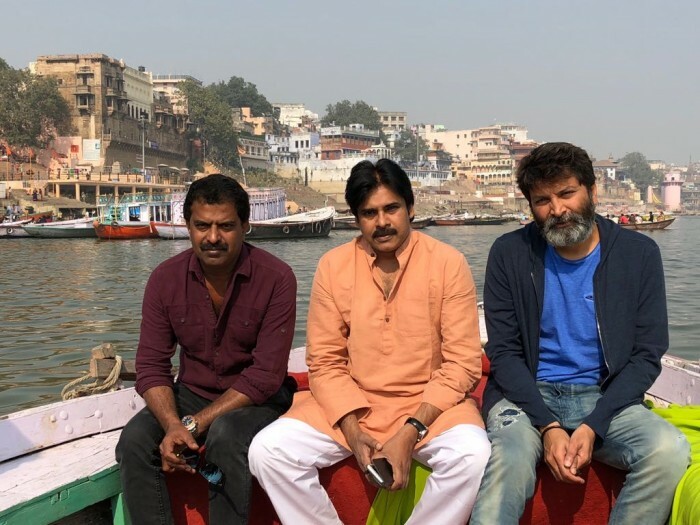 And, these days, PK is busy shooting for ‘Agnyaathavaasi’ in Varanasi. As it so happens, some photos from the shoot location are creating a buzz on the social media and that too for all the right reasons. In the photos, PK can be seen chilling with his team and enjoying the sights/sounds of the holy city to the fullest. Interestingly, the film’s production is likely to be wrapped up after the Varanasi schedule. Prior to this, the team had shot in Hyderabad and some locations in Europe. The first look of ‘Agnyaathavaasi’ was released earlier today and it created quite a buzz amongst fans in no time. 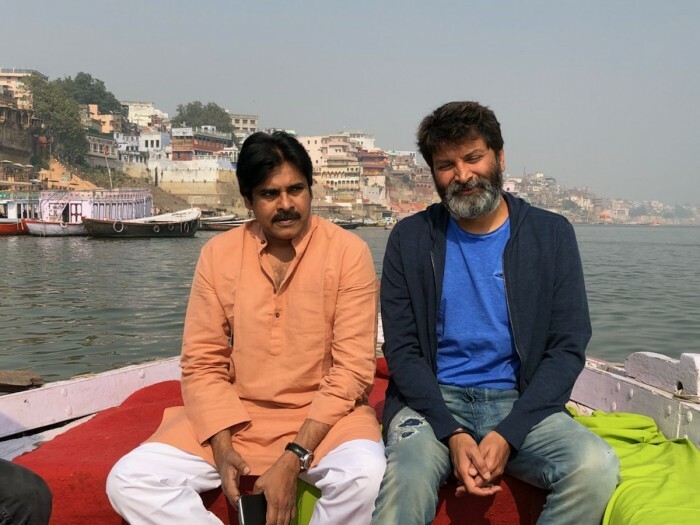 On a related note, ‘Agnyaathavaasi’ has been directed by Trivikram Srinivas and marks his third film with Pawan Kalyan. The two had previously joined hands for ‘Attarintiki Daredi’ which did well at the box office. Besides PK, ‘Agnyaathavaasi’ also has the lovely Keerthy Suresh in the lead. The film’s music has been composed by Anirudh Ravichander who is making his Tollywood debut with this one. A while ago, he had said that he has experimented with his music style in ‘Agnyaathavaasi’.